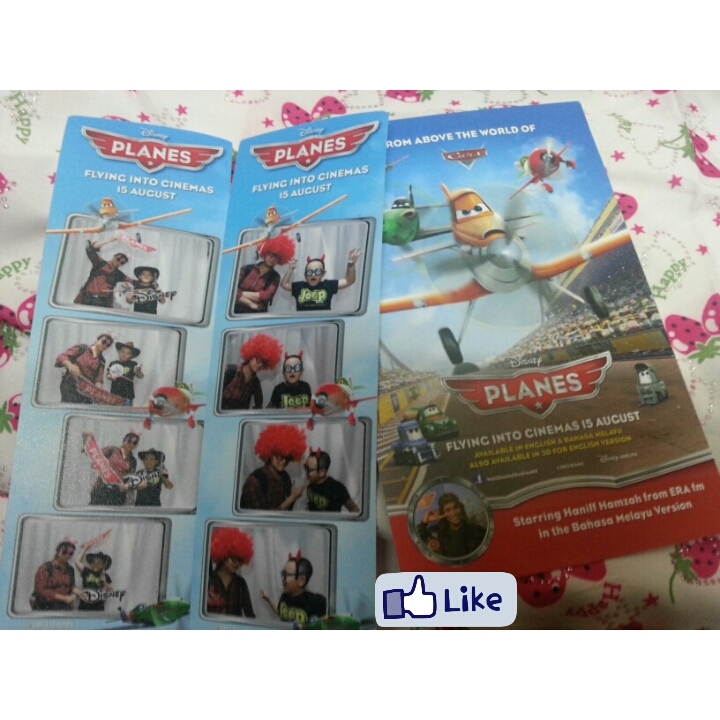 On Monday, I received email that I won two passes to watch Planes. Above picture of mother and son taken by 123cheese. GUESS WHAT. 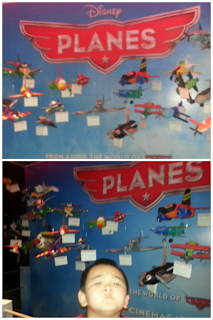 You're in for our premiere screening of Planes! Happy son and me get to watch Planes together, yeah just mother and son! 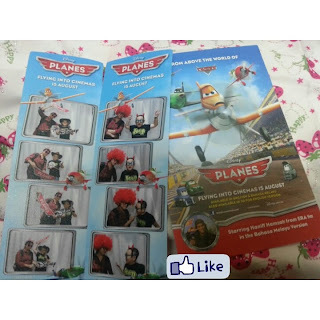 We spotted the cute recycle planes at TGV, One Utama and didn't believe our eyes that we get to see the cute planes again! Yes the movie is in Malay version, although son's not understand much because he's poor in BM. But both of us enjoy the movie from start to the end. Okay probably not the AL MACHO of Despicable ME 2 but son kept telling me one of the planes look just like him and he has name AL CHU too. This movie is about Dusty, he's a farm plane for fertilizing and he's interest to join the famous areal race. You will like to watch this movie, so many cars and planes in it! Find out how Dusty beat other planes and how he help one plane to lane, without his help the plane would have crashed! Thank you KLIPS for this opportunity to watch Planes!